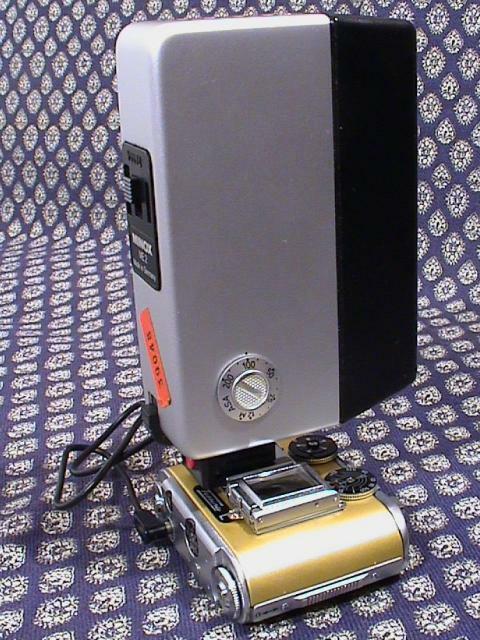 A small cold shoe flash plate is available to attach to the camera next to the sports finder. There are no purpose built flash units for the Tessina. Finding a suitable electronic flash is also not easy. Most modern units are wide and horizontal preventing the sports finder from being used. 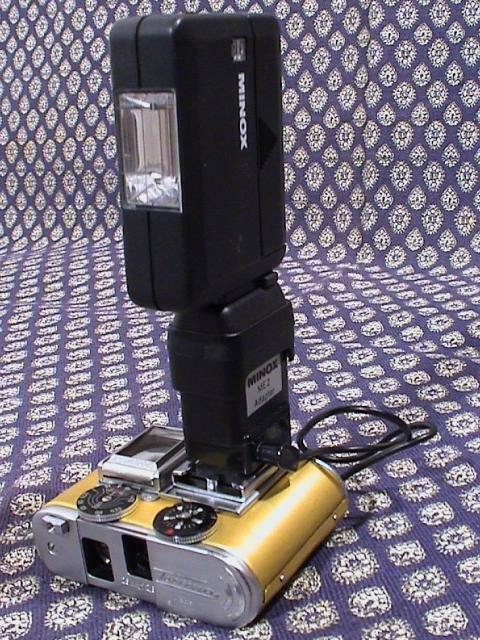 The Minox 8x11 flash is certainly of the correct shape and size, but as shown in the photograph above, requires an adapter (taken here from a Minox ME2) and the adapter for the LX to be made to work. 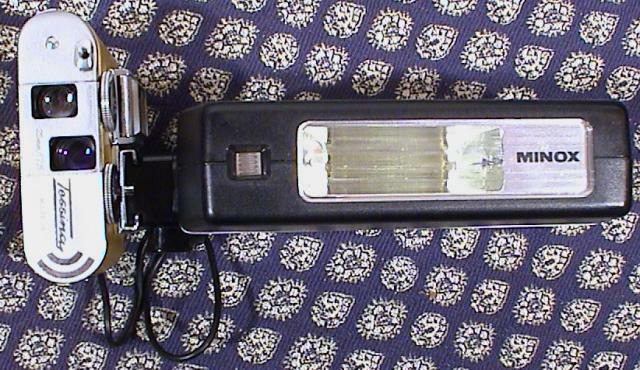 The Minox ME2 can also be used, but without the use of the sports finder. The more flexible method is to use the extended arm flash adapter.